Can you believe that it is nearly September? This summer has been flying by so quickly! Today I wanted to share a few of my favourites for the month of August! Tarte Tartelette Palette – I’ve been wearing this nearly every single time that I’ve worn eyeshadow since purchasing it. The review is here. ColourPop Ultra Satin Lip in Dopey and Frick n Frack. I’ve been wearing both of these liquid lipsticks a lot this past month. I love them equally! Original reviews are here and here. ColourPop SuperShock Cheek in Butterfly Beach. This rose gold toned highlighter is stunning. It can be worn from subtle to extreme and looks amazing. Review is here. I’ve been wearing Butterfly Beach with my Milani Baked Blush in Luminoso. Sukin Hydrating Mist Toner – Our summer has been pretty humid this year, so facial mists are so refreshing and cooling. Original review is here. Consonant DHE Facial Mask – This mask is amazing, it does it all – detoxification, hydration and exfoliation. (Thanks Stashy! <3) My review is here. What were your faves for this month? 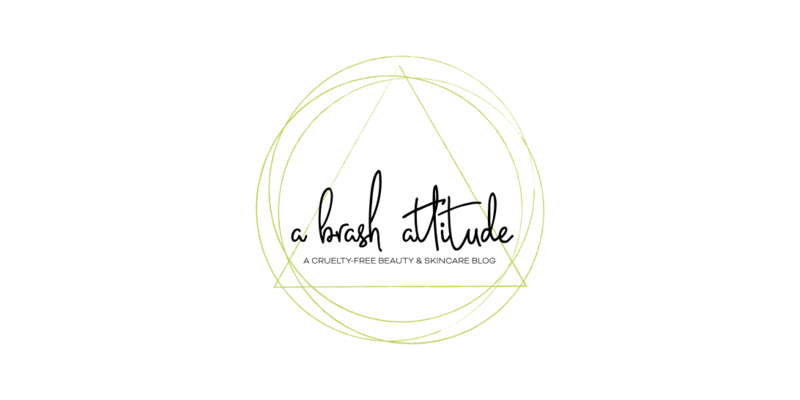 Don’t forget to enter my abrashattitude gratitude giveaway here. The giveaway closes on Thursday, September 1st at noon (eastern time). Disclosure: Please see original reviews for each product disclosure. I love this one because I have very few matte shades in my collection. It is so very wearable! Yeah Luminoso! I’ve neglected that blush so badly this summer but I pulled it out last week – so gorgeous! The mask works so well for my skin, I’ll probably use it tonight as well! It makes my skin so SOFT and it’s so clear looking the next day! I’m so happy that I purchased it! So wearable! Luminoso is the BEST! I haven’t used it in ages – been sidetracked by the UD Gwen palette, lol. I’d forgotten about Luminoso, so happy that I started using it again! yes! I love the tarte palette. i’m always drawn to sparkles, but it’s SO nice to have matte shades. I never have enough! I need more mattes in my collection! It is so good and can be used for looks that range from subtle to smokey! Those are all great products!!! I’m glad that I started using Luminoso again, it is so perfect! Both colourpop lippies are so nice!! Ooohhhh I’m loving the ColourPop highlighter and Dopey!! I have the tart palette and I use it often. I need to take more advice from Stashy on skin….mine isn’t so great right now and I have my eye on that mask! !